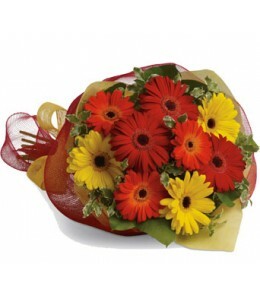 Brighten someone’s day by sending a beautiful mix of colourful gerberas.Flowers are subject to seasonal availability. 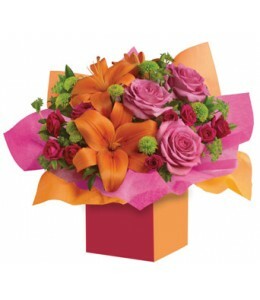 In the event that any of the flowers are unavailable, the florist will substitute ..
Brighten their day with this exuberant burst of beauty! 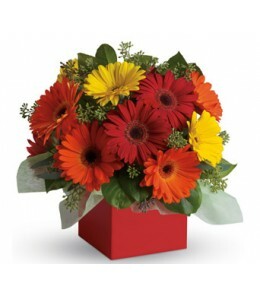 Joyful gerberas make everyone smile.Flowers are subject to seasonal availability. 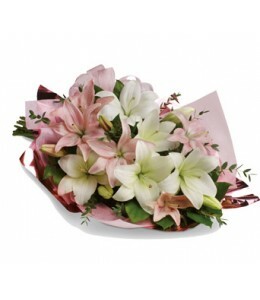 In the event that any of the flowers are unavailable, the flor..
What a stylish way to make someone smile! 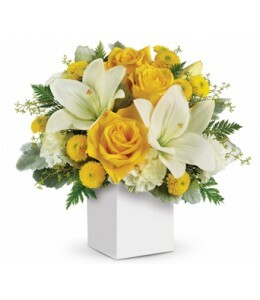 Inspired by the sunny sound of children’s laughter, this light hearted arrangement of golden roses and fragrant white lilies is sure to please.Flowers are sub.. 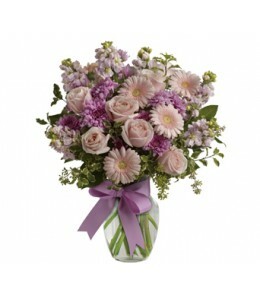 Someone you know (or want to know!) 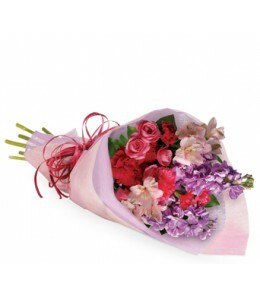 will jump for joy when they receive this charming bouquet. 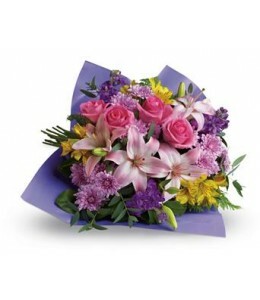 Soft and feminine colours, flowers and textures are all wrapped up in one pretty package.Flowers are subj..